International Tiger Day, also known as Global Tiger Day, is an annual celebration to raise awareness for tiger conservation, held annually on 29 July. It was created in 2010 at the Saint Petersburg Tiger Summit. This was done because at that moment wild tigers were too close to extinction. Many animal welfare organisations pledged to help these wonderful creatures and are still helping to raise funds to reach this goal. 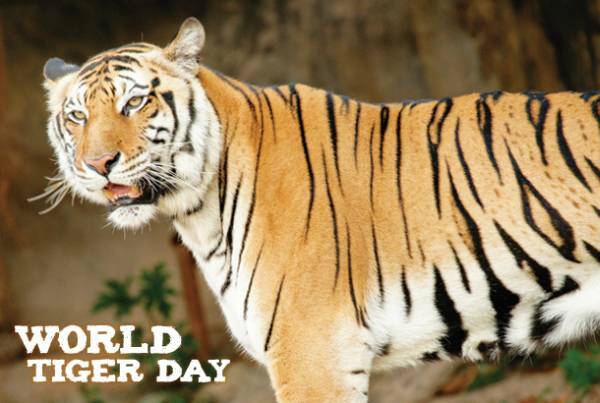 There were 13 countries-initiators where tigers are still living. During the Summit, there was developed and accepted the program for restoration of tiger population for 2010-2022, which aims to double the number of tigers in these years. We have lost 97% of all wild tigers in a bit over 100 years. Instead of 100 000 as few as 5000 live in the wild today. Today, tigers are under the threat of extinction. In most cases, they become victims of poaching. The goal of the day is to promote a global system for protecting the natural habitats of tigers and to raise public awareness and support for tiger conservation issues. Tiger is under the international protection, it is in the IUCN Red List, CITES Appendix I. Since 1947, acts the complete ban on hunting tigers; and since 1955, the catching of tiger cubs has been banned, and later – strictly limited.